Mercedes-Maybach S 550 Guard is one of the safest car in the world. Mercedes-Maybach has unveiled the S Guard, a car cut to the presidents and stars of rap in search of safety. Mercedes is everywhere, in the segment of sports, utilities, SUV and now the German brand is tackling the very lucrative niche segment as armored cars. Following the declination S Class Maybach and Pullman , Mercedes continues to please its most demanding clients. The latest fad dated wealthy car enthusiasts, this is neither the power nor the ease of driving but safety, pushing a little further the protection offered by its line of armored cars Guard. The Mercedes-Maybach S600 Guard version, and claims to be the first car on the market approved in the VR10 protection category. This means that it must withstand automatic assault rifles with armor-piercing ammunition. The S600 Guard is also approved in the category ERV2010 on explosions (grenade and rocket), under the vehicle or by his side. Under the hood the fireball team a 6.0-liter V12 to 530 horsepower. Besides its lovely sound when starting, the last German is recognizable by his thick glasses and the virtual absence of the small quarter window. The price is also distinctive base is € 470,000 excluding taxes, 250,000 euros more than the Maybach S600 classic . The flagship Maybach Guard model features the VR10 protection level certification. This is the highest ballistic protection level for civilian vehicles. In layman’s terms, the VR10 level of protection means that a car that has received this certification can withstand hardened steel core bullets fired from an assault rifle. Furthermore, the Mercedes-Maybach S600 Guard also comes with blast protection in accordance to the Directive ERV (Explosive Resistant Vehicles) 2010. The test criteria for the latter are not in the public domain. Customers interested in the new Mercedes-Maybach S600 Guard have to pay at least €470,000 (approx. 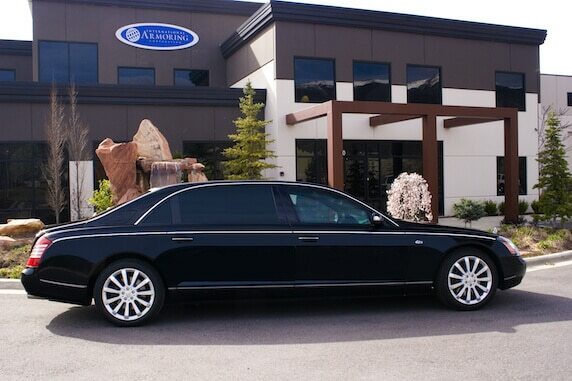 $518,000), without VAT, for this bulletproof version of the German limo. Naturally, the price premium comes from the complex ballistic protection features. Unlike military vehicles, the Guard models feature clever disguise of their bulletproof characteristics. The trick with these vehicles is that they provide time for the driver to escape an ambush or attack with their occupants unharmed. Furthermore, the Maybach S-Class Guard models feature unique technical elements to prevent the immobilization of the vehicle in the case of attack. The same modifications that went to make the Maybach S-Class Guard become a bulletproof vest on wheels are used for other models of the Guard range. 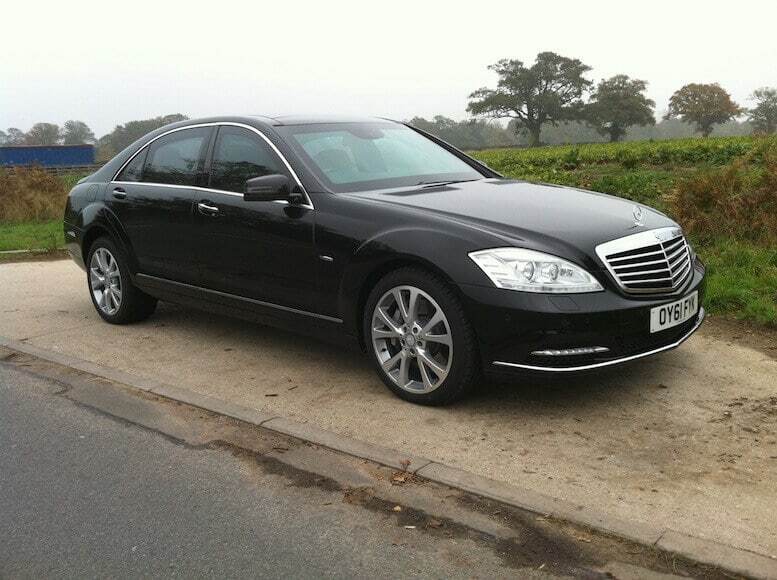 The Mercedes-Benz S-Class Guard, the Maybach’s smaller brother, is also certified by the Ballistics Authority in Ulm. 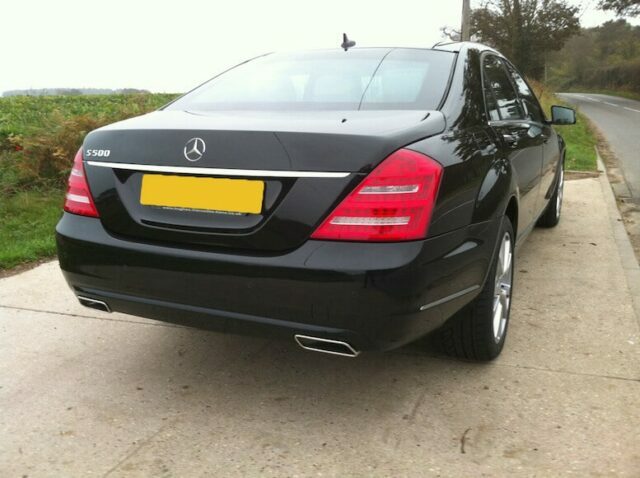 However, the special protection version of the S-Class was fully accredited to the VR9 protection level. It also fulfills the requirements for Explosive Resistant Vehicles 2010, as Germany’s Federal Office of Criminal Investigation attested. The first ever bulletproof vehicles from Daimler came to market over 85 years ago. The first model of this kind was the 1928 Nürburg 460 model. The range eventually extended with special vehicles that were created to shield their occupants from gunshots and explosives. The Mercedes-Maybach S600 Guard is claimed to be the first car to be certified VR10—the highest level of ballistic protection for civilian vehicles. The requirements for that rating include bodywork and windows that can withstand hardened steel bullets fired from an assault rifle, Mercedes says. It would be a shame to get blood on the Maybach’s leather seats, after all. To achieve that level of protection, Mercedes begins by reinforcing the bare body shell. It uses “special steels” and other materials in both the basic structure and bodywork, overlapping them at points where different materials meet to ensure maximum protection. The windows are fixed and are coated with polycarbonate on the inside to resist splintering. The underside is armored to protect against explosions and Mercedes says the sides of the Maybach can also withstand an explosive blast. Of course, the types of people who travel in armored cars generally don’t want the bad guys to know what they’re riding in. Consequently, the Guard doesn’t look much different from a standard Mercedes-Maybach S600, which already attracts plenty of attention on its own. The powertrain and suspension are likely beefed up to cope with the armor’s extra weight, and Mercedes says the car has a “series of special technical features” that help it keep driving after an assault. Mercedes seems to view the armored car market as a growth sector. In addition to the Mercedes-Maybach S600 Guard, it builds S500 and S600 Guard versions of the standard S-Class, as well as G500 Guard, GLE 350d Guard, and GLE500 Guard armored SUVs. The Mercedes-Maybach S600 Guard is available to discriminating dignitaries at a starting price of 470,000 euros (approximately $516,000). It makes its world debut next week at the 2016 Geneva Motor Show. For more from the Swiss show, head toour dedicated hub.